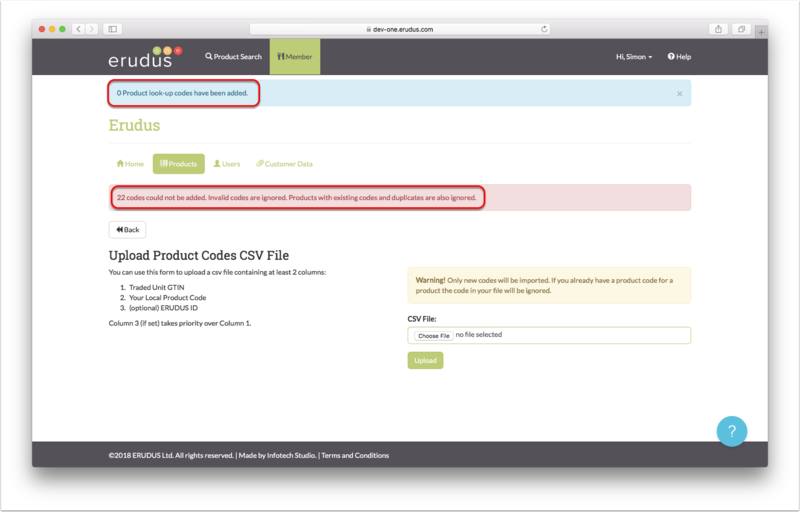 This article shows you how to upload your product or range list with local codes to automatically add local codes to multiple products at once. In order to do this, you MUST have the TRADE GTIN/BARCODE and LOCAL CODE on a range or product list. 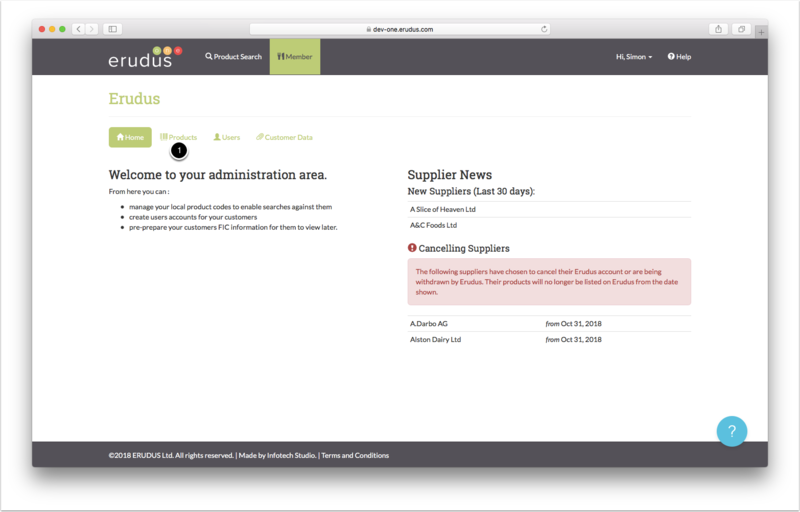 From your member dashboard, you can click on the Products tab (1) to display any local codes you have added to products in the Erudus database. 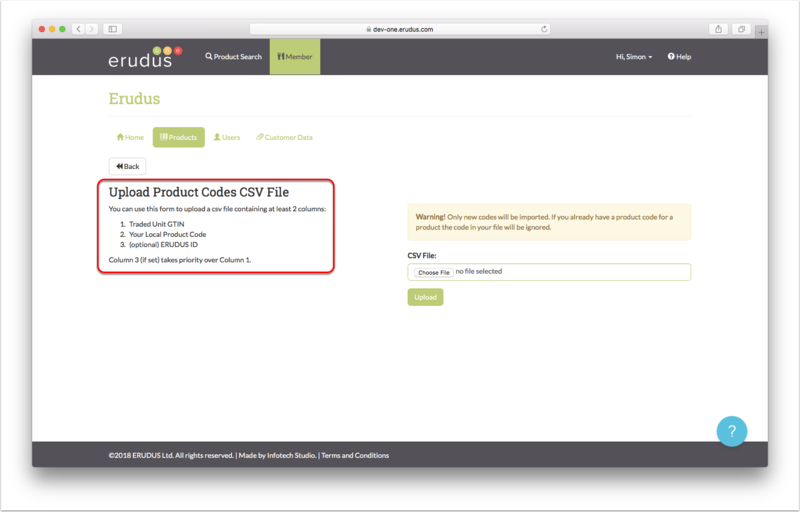 To access the matching tool to upload your local codes click the link titled 'upload a CSV file' labelled (1) on the below image. This is the screen where you will upload your file to do the code matching, you need to do is ensure that the file you are about to upload is in the correct format and is arranged in the correct way. The format and arrangement are detailed below. 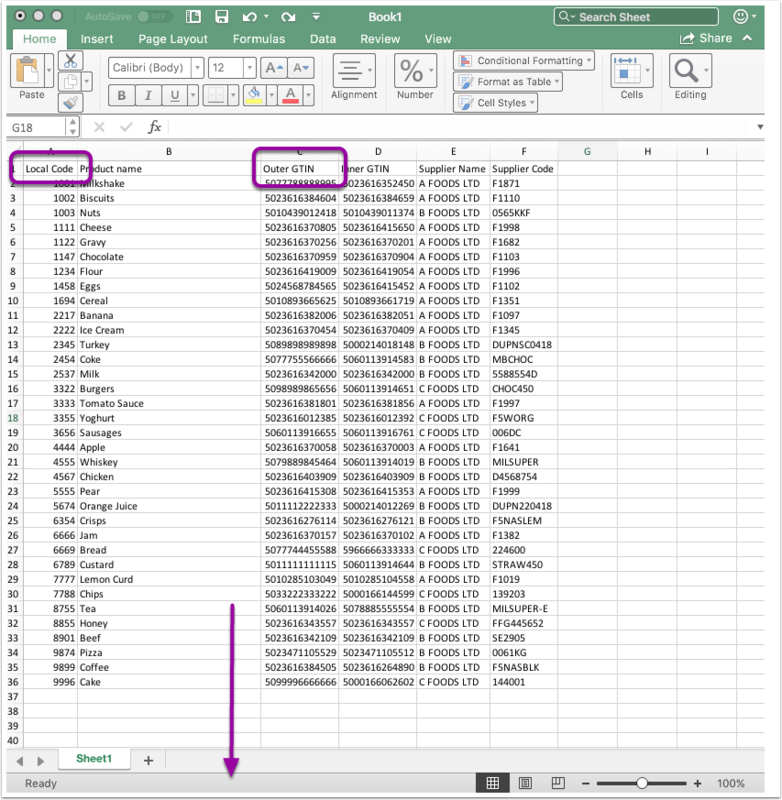 Below is an example of a product list, the only data you need on this in order to match local codes is the trade-unit (or outer) GTIN/barcode and the local code. 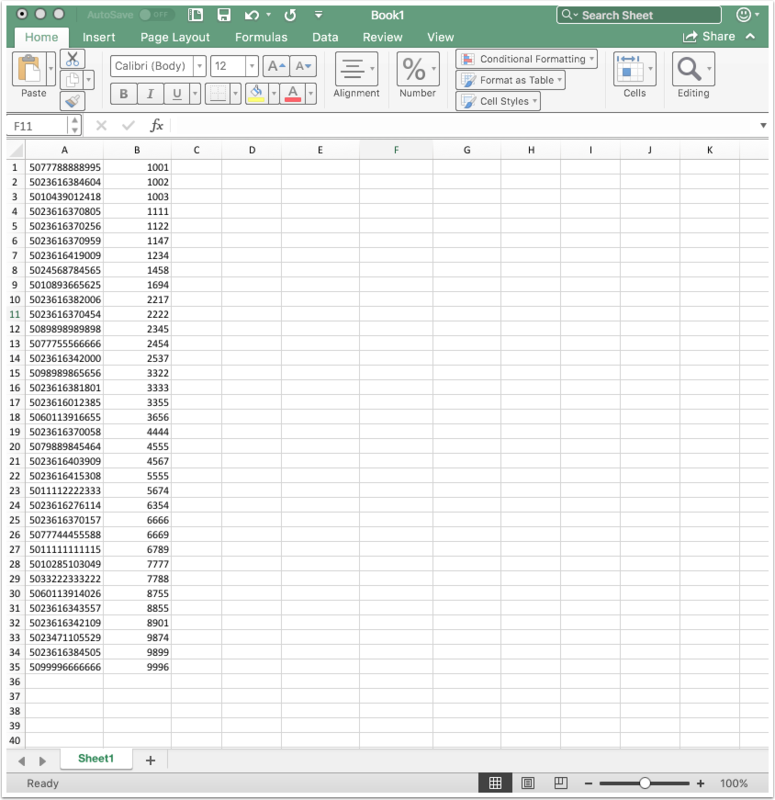 These two columns are shown below, the others need to be deleted before saving the file as this data is not needed. The next step is to save the file as a CSV file. 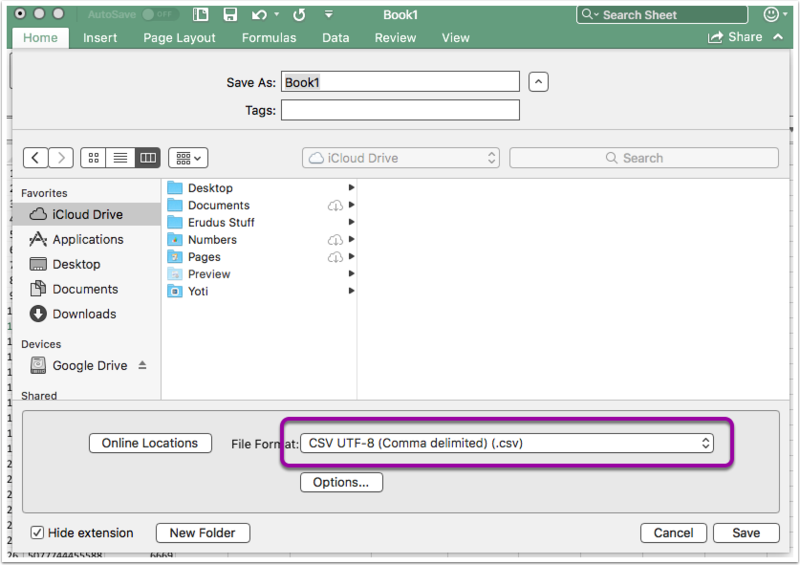 To do this click 'file' and 'save as' you then need to ensure that the file format is selected as CSV (shown below) and save the file in the desired location ready for upload. 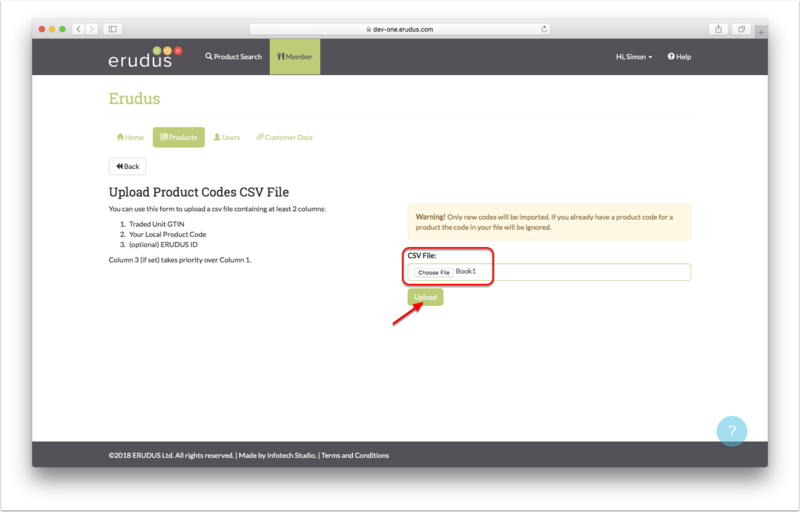 Upload the file using the 'choose file' button and select the CSV file you saved in Step 6. Once this is selected click the upload button. Your screen will now display any local codes which it managed to match as well as any it didn't. Depending on which barcode or GTIN has been attached to the product it sometimes can have trouble matching up. 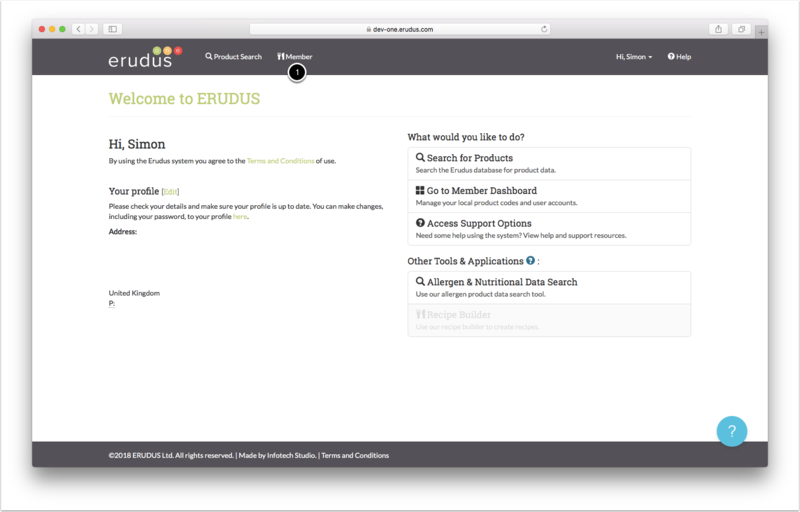 Matching can also fail if the product in question isn't listed on Erudus. 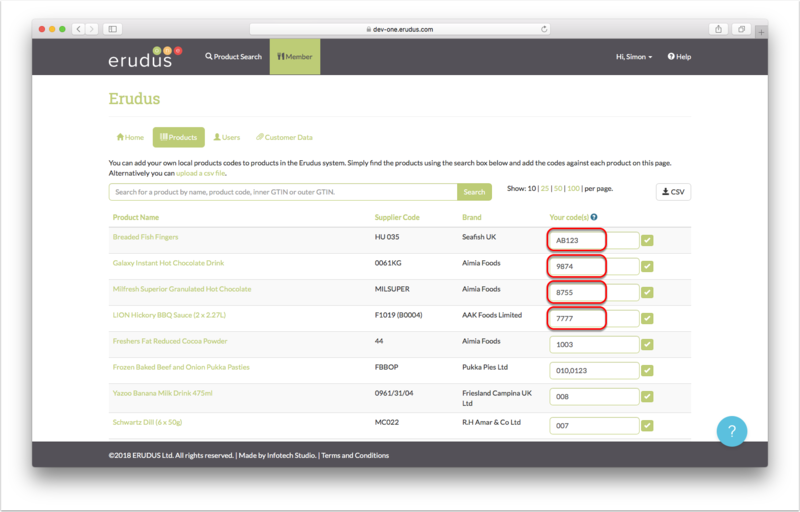 We are working to reduce this gap in products and you can help by emailing your product or range list to support@erudus.com. In the below screenshot you can see the messages displayed. 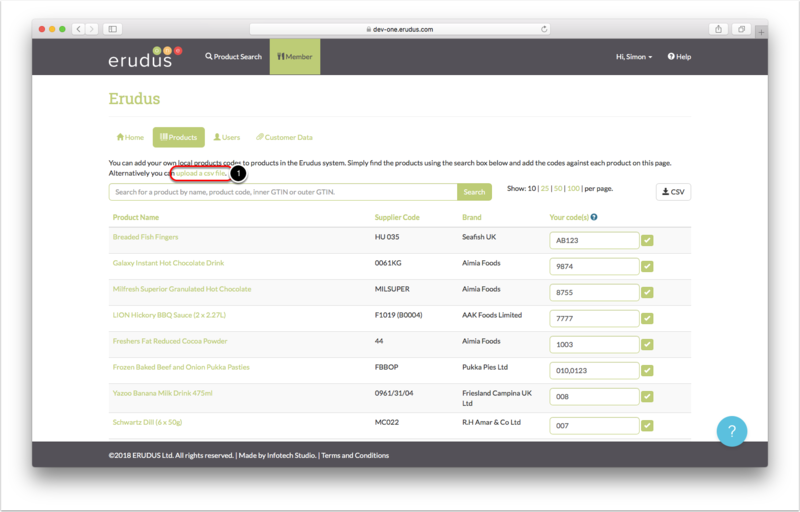 By moving back to the products screen you can now see any codes which have been matched. The local codes are displayed on the right-hand side of the screen as shown below.